This counter shows how many times these pages have been accessed! Well, today is officially the last day of March and like the old saying goes; "In like a Lamb, Out like a Lion" just doesn't seem to be holding true, does it? Of course, the saying goes on; "In like a Lion, Out like a Lamb". The references to Lion and Lamb obviously refers to the weather (Lion = Stormy Weather, Lamb = Good Weather). In the 1800s, sayings about the weather was part of something called weather lore. It has been a human desire for millennia to make accurate weather predictions. Oral and written history is full of rhymes, anecdotes, and meant to guide the uncertain in determining whether the next day will bring fair or foul weather. For the adagesfarmer wanting to plant crops, for the about to send ships on trade, knowledge of tomorrow's circumstances might mean the difference between success and failure. Prior to the invention of the mercury merchantbarometer, it was very difficult to gather numerical data of any predictive value. Even though there were devices such as the weather stick which gave some indication of moisture changes, the only instrument of any reliability was human experience. Thick, moisture laden storm clouds absorb sunlight. It gives them an appearance that somewhat resembles black smoke. A red sky – in the morning or evening, is a result of high pressure air in the atmosphere trapping particles of dust or soot. Air molecules scatter the shorter blue wavelengths of sunlight, but particles of dust, soot and other aerosols scatter the longer red wavelength of sunlight in a process called Rayleigh scattering. At sunrise and sunset, the sun is lower in the sky causing the sunlight to travel through more of the atmosphere so scattering more light. This effect is further enhanced when there are at least some high level clouds to reflect this light back to the ground. When weather systems predominantly move from west to east, a red sky at night indicates that the high pressure air (and better weather) is westwards. In the morning the light is eastwards, and so a red sky then indicates the high pressure (and better weather) has already passed, and an area of low pressure is following behind. When halo rings the Moon or Sun, rain's approaching on the run. Seagull, seagull sit on the sand. It's never good weather when you're on land. Seagulls tend to sleep on the water. However, seagulls, like people, find gusty, turbulent wind difficult to contend with, and under such circumstances, the water is also choppy and unpleasant. Seagulls huddled on the ground may be a sign that the weather is already bad. Cows prefer not to have the wind blowing in their faces, and so typically stand with their backs to the wind. Since westerly winds typically mean arriving or continuing fair weather and easterly winds usually indicate arriving or continuing unsettled weather, a cowvane is as good a way as any of knowing what the weather will be up to for the next few hours. Cats and dogs eat grass before a rain. While it is true that cats and dogs eat grass, it has nothing to do with the weather and is because cats and dogs are not exclusively carnivorous. Some researchers believe that dogs eat grass as an emetic when feeling ill. This verse, and so many others like it, attempts to predict long-range conditions. These predictions have stood the test of time only because they rely on selective memory: people remember when they have predicted correctly and forget when predictions don't hold. One possible factor which could provide these predictions with a thin edge of credibility is that there is some degree of consistency in weather from year to year. Drought cycles or El Niño winters are a perfect example of such circumstances. 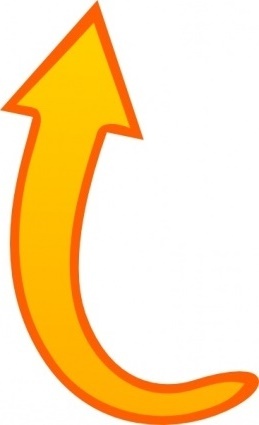 A pattern of cool summers and warm winters, for instance, can produce patterns in other natural events sensitive enough to be affected by changes in temperature or precipitation. Late-night rains and early morning rains may simply be the last precipitation of a passing weather front. However, since fronts pass at night as often as they do in the day, morning rain is no predictor of a dry afternoon. However, this lore can describe non-frontal weather. Given sufficient surface heating, a late-day rainstorm may continue to develop into the night, produce early precipitation, then dissipate by late morning. This, though, is the exception rather than the rule. Only 40% of rain is produced by convective events – 60% is the result of a frontal passage. There are dozens more but time, nor space will allow more to be inserted in The Chronicle. Can you think of more? Yeah, yeah, I know it's not Christmas time but this song just seems to fit so well. 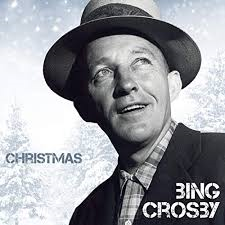 Let it snow (by Bing Crosbey) starts off with "the weather outside is frightful".